The price tag continues to rise as your tax dollars are prostituted for political votes on Obama care. So far, Senator Mary Landrieu, D-La. Scores the largest back alley trick from Senate Pimp Harry Reid, D-NV with an amazing $100 Million Dollars. Who is the John? The American Tax Payer! We are the only ones getting screwed! This undeniably crooked deal was secretly placed in the health care bill as an adjustment in section 2006 which allows for “certain states” recovering from a major disaster, or a major disaster area as declared by FEMA since 2004 will receive 100 Million over the next ten years in federal subsidies spent on funding that state’s Medicaid plan. That makes a grand total of only one state, Louisiana that will benefit from it. Forget about the coastal areas of Mississippi and Alabama. It seems there is no limit to the tax payer’s money that can be spent by these Senators who are outlandishly pushing this bum health care plan not unlike the Chicago mob who would break the legs of business owners who would not pay protection money. This Health Care Bill becomes more and more costly by the minute, but what is the most outrageous aspect is how these Senators are posing as representing their constituents by holding out for more pork before they commit their vote to keep this bill on the path of passage. These Senators are doing nothing less than prostituting their vote for political gain while the hard working citizen’s of their states are being taxed to provide the dirty pay off money. What are being sold are the rights of their constituents to choose the best health care possible for their families. Where will these political prostitutes be when the best health care this world has ever known has been replaced by a government run fiasco that could care less about your personal health? Let’s remember that these Senators will have their own federal health care coverage and will not have to rely on the scam they are selling us under the name of health care. 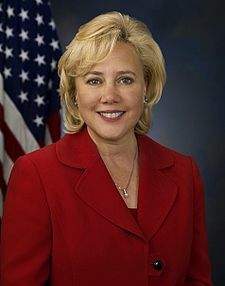 Congratulations Senator Mary Landrieu of Louisiana! You will forever be known in history for being a political prostitute. I hope it was worth your integrity. Hmm, elitism and prostitution, a great combination. All we need now is a Messiah complex and the triumvirate will be complete.